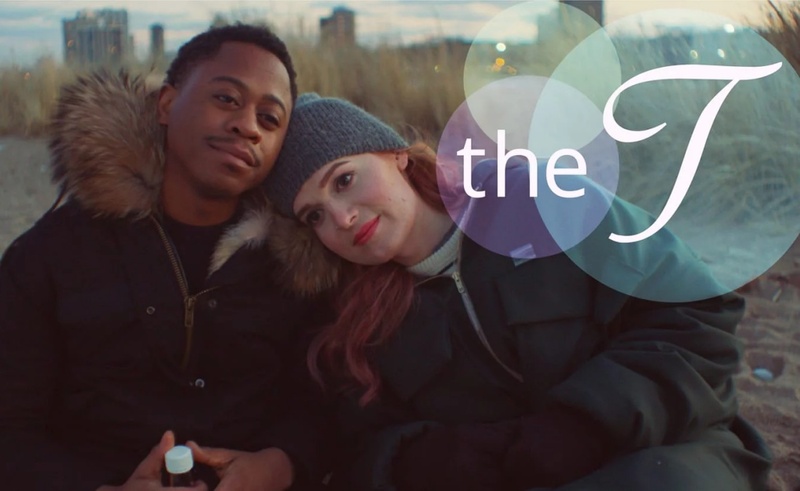 A new web series brings its own meaning to the phrase “it’s complicated.” The T, created by and starring Bea Cordelia and Daniel Kyri, is an elegantly-assembled piece of work that introduces viewers to a pair of protagonists who are looking to make sense of both their respective identities and their relationships with one another. In the first episode of The T, we meet best friends Jo (Cordelia) and Carter (Kyri), who are a trans woman and a black man, respectively. Before Jo’s transition, the two of them used to date, and the lingering feelings they may have for each other is one of the main themes in a broad, sweeping first season that delves deeply into the lives of its two protagonists. In particular, The T has been compared to Brown Girls, with which it shares an intimate point-of-view, a plot based around a central friendship, and strong representation. But Cordelia and Kyri’s show deserves to be taken on its own, too. The episodes are constructed with inviting long takes and raw, handheld camerawork, mirroring the messiness of the relationship between The T‘s two primary characters. That relationship works because Cordelia and Kyri both bring clear passion to their roles. They have brought something very refreshing to the screen, and you would be wise to check it out. It’s available via OTV. Naps. It’s the story of a black woman, with a particular focus on her hair. Queering. This LGBTQ web series has picked up some traction and reeled in a nice audience on YouTube. Beijing Dirty Dating Secrets. This romantic comedy web series comes all the way from China.